Former Indian skipper MS Dhoni became a part of an embarrassing record as India suffered their worst defeat in terms of runs in T20Is against New Zealand in 1st T20I. Mahendra Singh Dhoni became earned himself an unwanted record after India’s 80-run loss in the 1st T20I against New Zealand in Wellington. The veteran wicket-keeper top-scored for the Men in Blue with 39 runs off 31 balls but his efforts were not enough to get the team over the line in a mammoth chase of 220 runs. 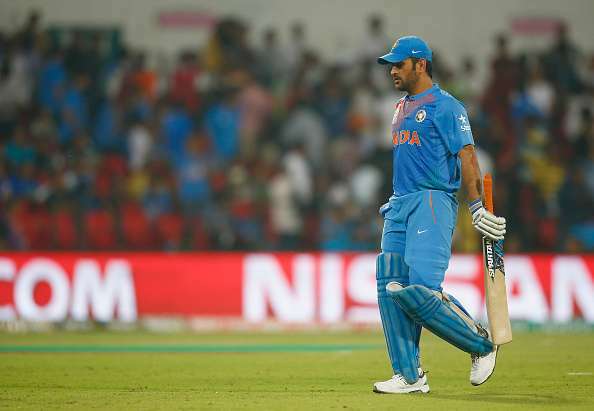 With a defeat in Wellington, India have now lost all T20I games in which Dhoni has top-scored. New Zealand posted a staggering total of 219 runs on the board in 20 overs after a brilliant knock of 84 runs from opener Tim Seifert, who scored a quickfire 84 off 43 deliveries and was well supported by Colin Munro (34) and Kane Williamson (34). A late 7-ball 20 cameo from Scott Kuggelejin ensure the hosts comfortably crossed the 200-run mark. In reply, India lost skipper Rohit Sharma (1) early in the chase. Shikhar Dhawan (29) and Vijay Shankar (27) then posted a 33-run stand for the second wicket but post the duo’s departure, the Indian middle-order crumbled under pressure with the likes of Rishabh Pant (4), Dinesh Karthik (5) and Hardik Pandya (4) all failing to deliver. Dhoni and Krunal Pandya were left with a monumental task of getting India back in the game from 77/6 in eleven overs. The duo eventually failed to get India over the line as the visitors fell short by 80 runs. Dhoni, with his 39-run knock, completed his 1500 runs in T20Is but it was another instance when India lost the game he top-scored for the team in a T20I game. The Men in Blue will look to bounce back in the second T20I to be played in Auckland on Friday.